Description: Purchased From a Private Collection, This One of a Kind Artisanaware Pillow Cover Displays a Wonderful, Hand Woven, Hand Dyed Ikat Textile From Indonesian. 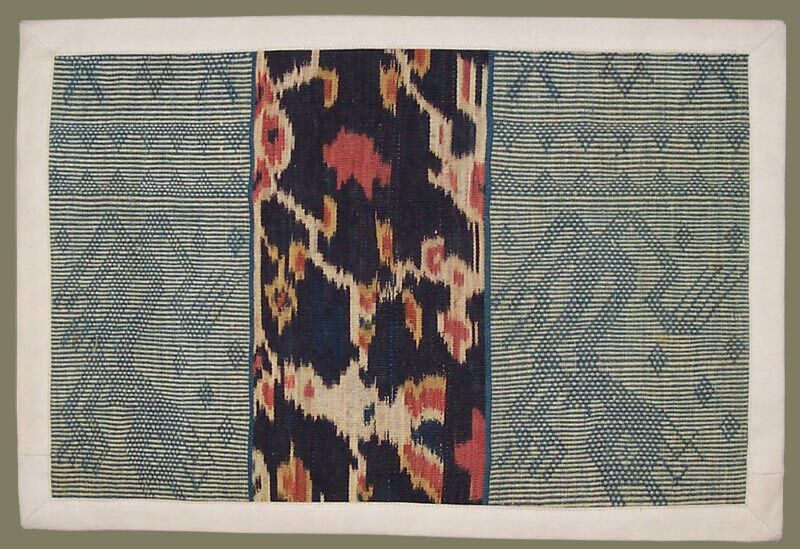 The Motifs May Point to East Sumba as the Region of Origin, Though it is Possible This Textile was Woven in Either East Sulawesi or North Sumatra. The Center Panel is an Ikat in Indigo, Cinnamon and Cream. The Panel is Flanked by a Weave of Williamsburg Blue and Cream. 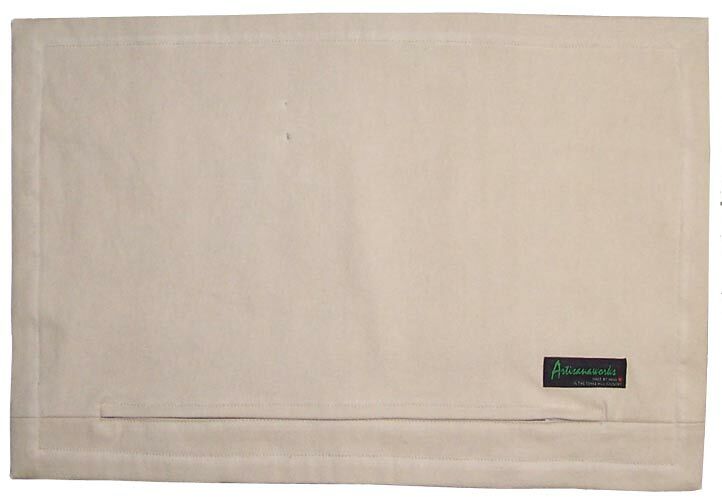 The Pillow Backs and Flange are Done in a Cream Colored Rouenneries Heavy Cotton. Zippered.